The Muslauf team representing Ljubljana’s vibrant scene of urban bikers will attend Schmiede14, the producer festival taking place from September 11-21 in Hallein/Salzburg. Bor, Andraz, the two Markos, Domen and Ajda will design and build new trikes together with other bike fanatics from the Schmiede. 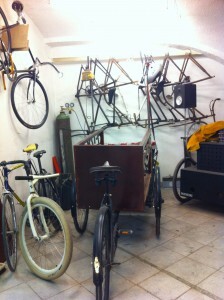 The first trike will be a repair bike that holds all tools a bike mechanic needs to fix bikes (or trikes in this case). The second one built will be a Keg-bike, because delivery of refreshments is always needed and always needs to be done in proper biking style. The two creatives from Munich, Volkan Özekcin and Christopher Lewis (Samstag-Rad), will attend the TrikeLab in Hallein and support the team, but also develop their own bikes. Once Schmiede14 is over, the crew will try out their newly built trikes on their way from Hallein/Salzburg to Munich (about 180 kilometers to go!). Other bike enthusiasts are free to join them on their trip to Munich. 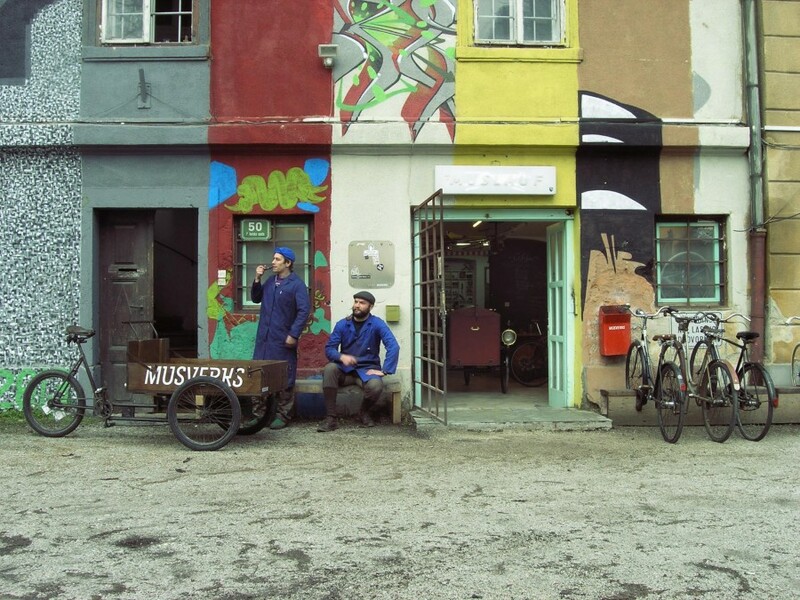 The Muslauf team has planned 2 days to cover the distance so that they will arrive on time on September 22 evening and be hosts of a get-together at Import Export Kantine where it will all be about DiY, bikes and upcycling as well as hearing about the biking scene in Ljubljana. 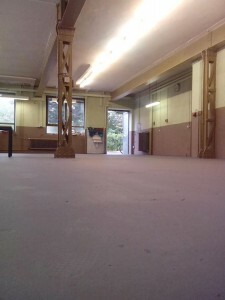 The new temporary (or hopefully not so temporary) venue of Import Export will become a “meet & greet” platform on that evening for all people involved in the “What’s the deal?” (alias WTD) project both in Munich and Ljubljana as well as for anybody interested in learning about the EU-project WTD. It is a good possibility to find out about the objectives of WTD. But there is also the chance to relax and enjob. Music will be provided by DJ Asmir Sabic who might be known to some of you from MAJMUSICAL MONDAY or BALKAN LOUNGE. 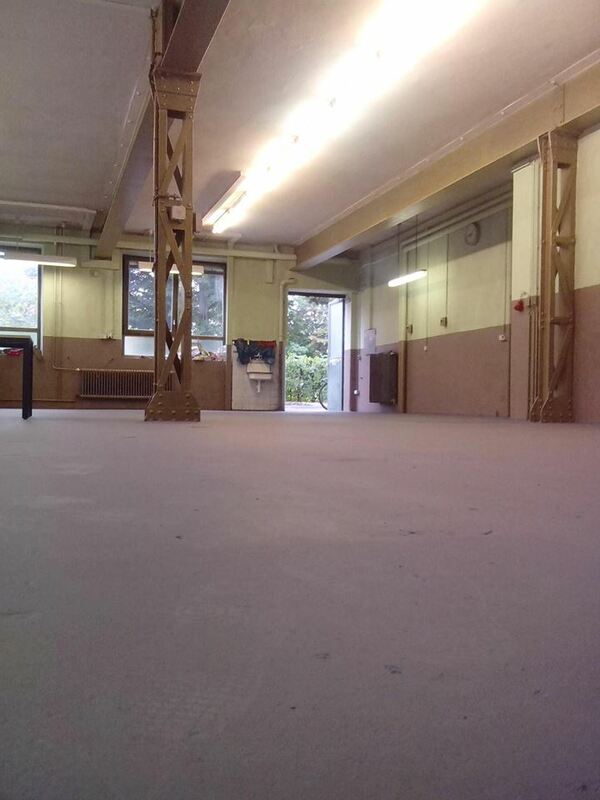 The Import Export Kantine will provide food and drinks.